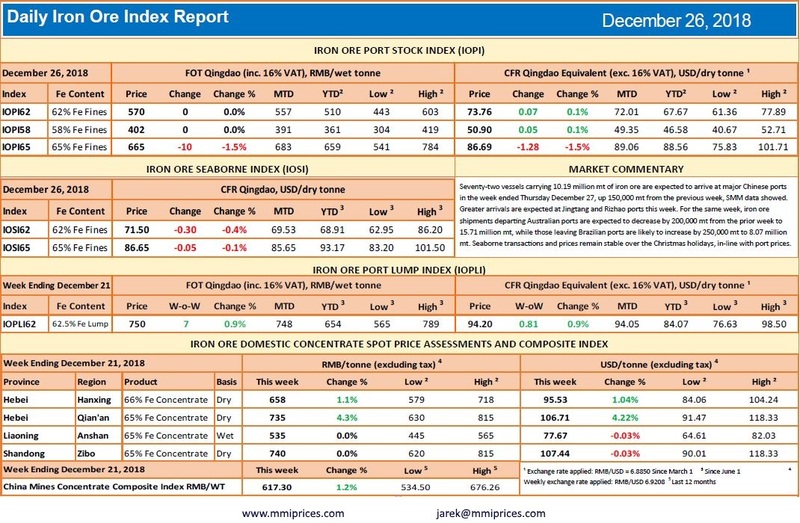 Seventy-two vessels carrying 10.19 million mt of iron ore are expected to arrive at major Chinese ports in the week ended Thursday December 27, up 150,000 mt from the previous week, SMM data showed. Greater arrivals are expected at Jingtang and Rizhao ports this week. 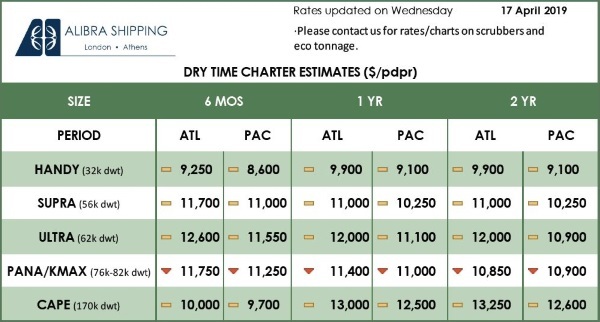 For the same week, iron ore shipments departing Australian ports are expected to decrease by 200,000 mt from the prior week to 15.71 million mt, while those leaving Brazilian ports are likely to increase by 250,000 mt to 8.07 million mt. 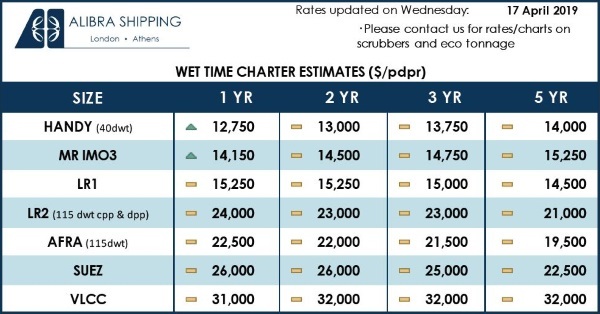 Seaborne transactions and prices remain stable over the Christmas holidays, in-line with port prices.